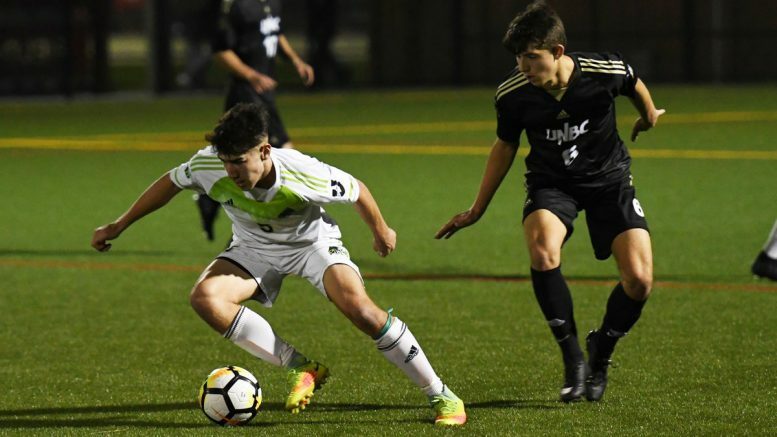 🏔⚽️ MSOC RECAP | The Cascades got a late goal from Andrew Peat to edge UNBC 1-0 and punch their ticket back to the @CanadaWest playoffs after a one-year absence! The University of the Fraser Valley men’s golf team climbed the podium at the Canadian Collegiate Athletic Association (CCAA) Golf Championships for the ninth time in the last 12 seasons, battling their way to bronze on Friday in Medicine Hat, Alta. Playing at Desert Blume Golf Club, the top-ranked Cascades found themselves in fourth place heading into Friday’s fourth and final round, but were able to rally to tie the Champlain St. Lawrence Lions at +19 for the week. The two teams each secured bronze, with the Andre-Laurendeau Boomerang winning gold at -14 and the Humber Hawks taking silver at -5. Bronze wasn’t necessarily the medal the defending champion Cascades were dreaming of heading into the week, but head coach Chris Bertram pointed out that winning a national medal of any colour is a difficult feat. Daniel Campbell was the Cascades’ top finisher – the reigning CCAA men’s individual champ and two-time All-Canadian carded rounds of 72, 69, 72 and 69 to finish at six-under for the week, tied for fourth overall. Andre-Laurendeau’s Laurent Desmarchais won the individual crown at -13. UFV sophomore Ben Whiton, after opening with an 80 on Tuesday, was excellent for the balance of the week, shooting 71, 72 and 72 to finish tied for 17th at +7. Zach Olson (+8) tied for 19th, Kyle Claggett (+11) tied for 21st, and Cody Stewart (+16) tied for 30th. Shaking off bus legs on their longest road trip of the season, the University of the Fraser Valley volleyball teams split a doubleheader on Friday evening in Cranbrook. The Cascades raced out to an early advantage, taking the first two sets by scores of 25-22 and 25-20. The host Avalanche clawed their way back into it with a 25-17 win in the third, but UFV closed out the match in emphatic fashion, 25-16 in the fourth. 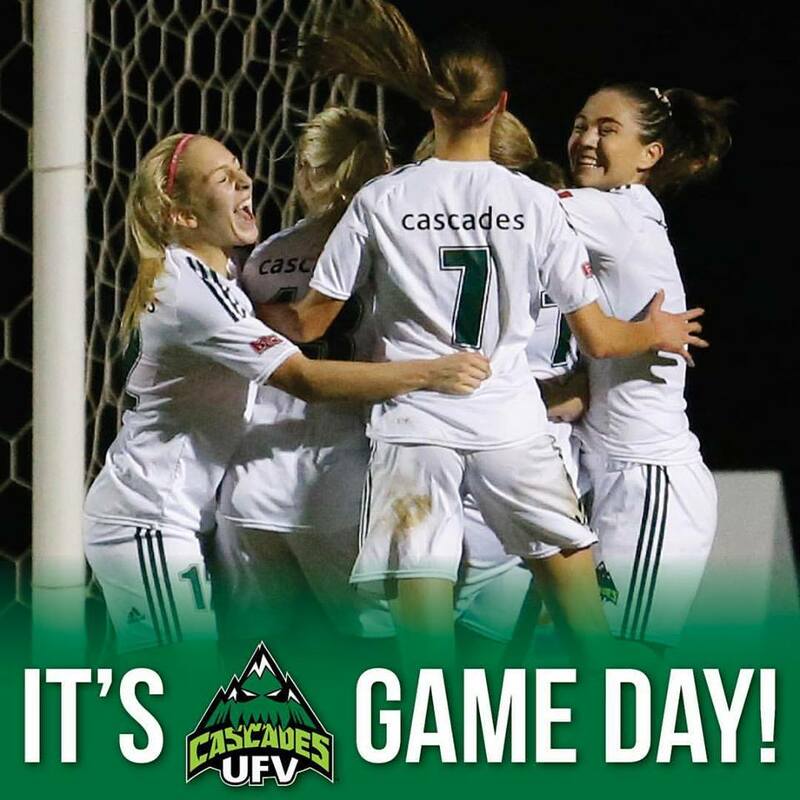 The Cascades (1-2) earned their first win of the young season, while the Avalanche fell to 1-4. Be the first to comment on "UFV Sports Friday – Men’s Soccer Return To The Playoffs, Golf Bronze At Nationals"